An article in RevCycleIntelligence points out that an astounding 95 percent of practices with less than five physicians identified their facilities as “not tech savvy,” according to a Black Book survey. Small practices tend to avoid or delay health IT adoption because of the costs associated with implementation and upkeep. A 2016 Medical Group Management Association (MGMA) study revealed that EHRs cost physician practices up to $32,500 per physician in 2015. The expenses included IT equipment, staff, and maintenance. Many practice leaders also question the return on investment with health IT adoption. 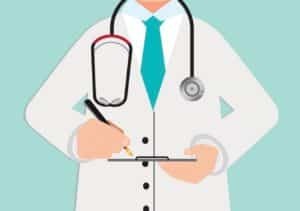 For example, small practice owners stated that EHR adoption would reduce the number of patient encounters and, therefore, decrease practice revenue, a recent survey showed. Small and independent practices can overcome technological challenges, including excessive costs, through outsourcing. Black Book researchers projected medical business office outsourcing to grow by 30 percent in the next year among practices with 25 physicians or fewer. Small practice owners are looking to outsource key healthcare revenue cycle processes, such as medical billing, to combat inefficient billing practices, high staff turnover rates, lack of health IT knowledge, the stress of financial and staff management, and declines in direct patient care.